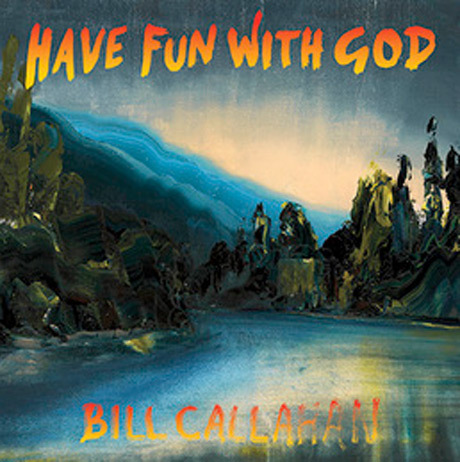 Earlier this year, indie vet Bill Callahan blew minds with his "Expanding Dub" remix using stems from his then-unreleased Dream River LP, and now he's apparently going whole hog in 2014 by delivering a full-length genre exploration called Have Fun With God. Drag City is dropping the disc on January 21, and a press release explains that it is a full-length dub exploration of Dream River. Apparently, "the tantalizing, liquid flow of Dream River as you know it will cease to exist; except, that it won't. It will exist in its earthly form and intergalactic, or heavenly, form." As you can see by the tracklisting, every song title ends with the word "dub," and apparently the set actually includes two separate songs, um, dubbed "Call It Dub." You'll find the rest of the tracklist info down below, and check out the nature painting that serves as the cover art up above. Further described as a "riddim riddle," the LP is expected to touch upon the "spiritual, abstract, visceral, mystical" genre that is dub. Judging by what we've heard so far, expect a lot of echo-drenched sounds and a ton of slapback to be thrown around on the LP. While no new sound clips have been unveiled thus far, you can check out "Expanding Dub" beneath the album info.